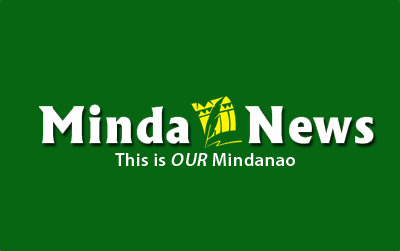 DAVAO CITY (MindaNews/ 20 January) – Five provinces in Mindanao have been placed under storm warning signal number 1 as tropical depression Amang approaches Surigao, the Philippine Atmospheric Geophysical and Astronomical Services Administration (Pagasa) said in its 2pm advisory on Sunday. These are the provinces of Agusan del Sur, Agusan del Norte, Surigao del Sur, Surigao del Norte, Dinagat Islands and Camiguin. In the Visayas, placed under storm warning signal number 1 are Eastern Samar, Samar, Biliran, Leyte, Southern Leyte, Eastern Bohol and Northern Cebu. 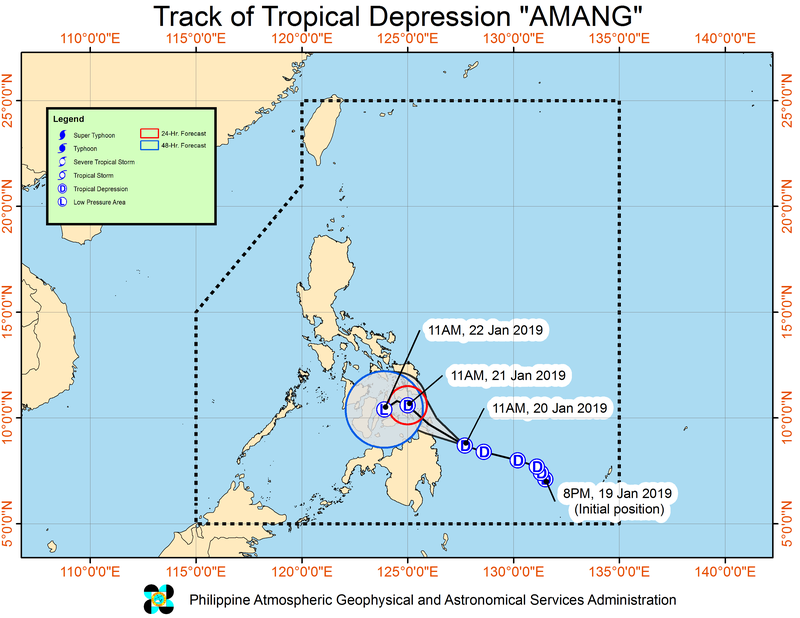 Pagasa said Amang has maintained its strength as it moves west northwest toward Surigao provinces, “Amang” was carrying maximum sustained winds of 45 kilometers per hour and gustiness of up to 60 kph and moving at 30 kph. Amang was expected to make landfall in Surigao del Norte and Siargao Islands between Monday afternoon and evening. As of 1pm Monday, the center of Amang was estimated based on all available data including Hinatuan Doppler Radar at 235 km east southeast of Surigao City, Surigao del Norte. 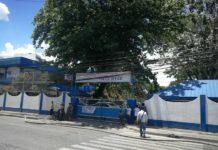 The state weather bureau said moderate to heavy rains may prevail over Eastern Visayas, Bicol Region and Dinagat Islands on Monday. On Tuesday, moderate to heavy rains may be experienced over Eastern Visayas and Bicol Region.